Quiz Builder ( 15-day Trial ) is a software program developed by Tanida Software. We know of versions 2.0, 1.3. Version 2.0.0.19 is available for download at our site. Quiz Builder ( 15-day Trial ) installation package has a size of 17,557,154 bytes. 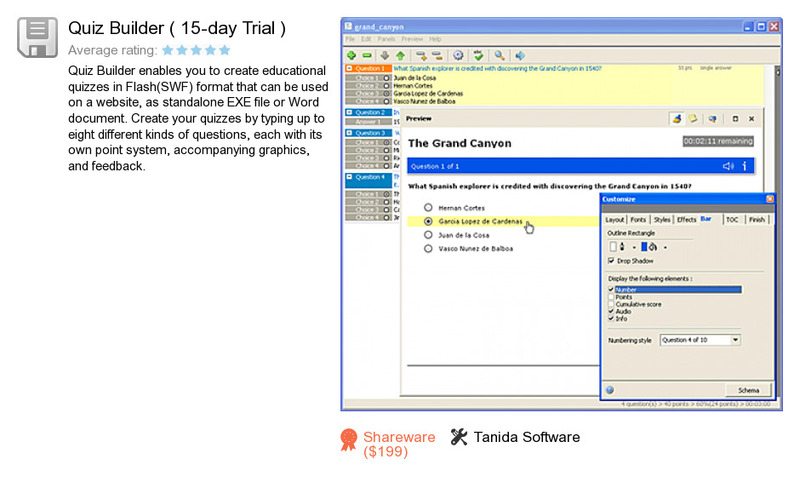 Tanida Software also publishes SPX Instant Screen Capture and Quiz Builder.